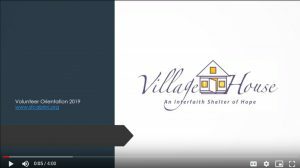 SFC Helping Others 2019 Village House returns to Cabrini March 6 through April 3. Note: SignUp.com does not share your email address with anyone. If you prefer not to use your email address, please contact Bob Citelli and he can sign you up manually. Village House returns to St Frances Cabrini March 6 to April 3, 2019. Thanks to the men and women who have volunteered at our Parish and throughout the Network, Village House has demonstrated remarkable success in changing the lives of our guests. We hope you will join us as we work to deliver life changing results to our guests. • As of 6/30/2018, 14 are actively in the program. 37 have been discharged. 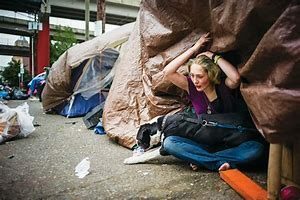 • 13 were discharged to permanent housing, either a rental or living stably with family or friends. • 1 completed an IT training course and got certified as a programmer. See the video above for more on Village House. 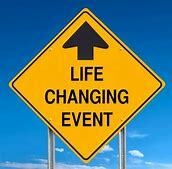 Have attended an SFC Helping Others Village House Training Session in the past three years or have attended a 2019 session if your are a first time volunteer. All Volunteers including those who have previously undergone training should familiarize themselves with basic guidelines on guest interactions as explained in the five-minute video found at http://bit.ly/2S4HDNA. All Volunteers must have completed and been certified in the Diocese of San Jose mandated Virtus Online Training Course (or Shield the Vulnerable) or certified at the live SFC Campus session as part of the Diocesan Shielding the Vulnerable initiative. If your Virtus or Shield the Vulnerable Safe Environment Certificate was issued prior to March 1, 2016 you must retake the certification found at virtus.org. First Time Registrants see https://bit.ly/2Jzw1yx . Parishioners with existing Virtus Accounts see https://bit.ly/1ymFrf5. The following training courses are required for adults who serve with youth and/or vulnerable adults. The VIRTUS® online training course Protecting God’s Children (PGC) is mandatory and must be renewed every three (3) years by both employees and volunteers (https://www.virtusonline.org/virtus/). Volunteers and employees who serve in Homebound Ministries, or bringing the Eucharist to the sick, must take the PGC & Vulnerable Adults training course which also incorporates the Protecting God’s Children (PGC) training material. All Volunteers must read, sign and return to the Parish Office the Diocesan mandated Volunteer Waiver form that holds the Diocese and SFC harmless during days when you Volunteer to work at Village House. The form can be downloaded to Word here Adult-Volunteer-Waiver-042018-Appendix-F (1). The form can also be accessed as a PDF here. Please print out, sign, and bring with you if you have not submitted this to the Parish Office prior to your first shift.